Just Raise Honorable Sons. Just Be DAD. One of the character traits sorely lacking in our culture today is that of masculine honor. Dads who want their boys to grow up to be good men, fathers, and leaders of their family will strive to teach this powerful concept to their sons. Perhaps no character trait embodies healthy masculinity more than that of honor. [tweet_dis]Honor is the soul of masculinity. It is a code that a man lives by that lifts him above mere mediocrity[/tweet_dis] and survival. It enables him to lift the lives of others beyond what they could ever be without his broad shoulders to stand upon. Honor allows a man to stand tall among lesser members of his gender. It inspires him to reject and ignore involvement in self-gratifying activities (like adultery, drugs, lying, or stealing) that sap his ability to live a life of integrity and wholeness. It allows him an opportunity to strive for greatness in life. It motivates him to live his life to a higher standard. Teach your son what you believe to be important in life. Develop a core set of beliefs as a family that you believe to be foundational and unbreakable. Develop an honor code for your family. One honor code for men worth noting is the West Point Cadet Code which simply says, “A cadet will not lie, cheat, steal, or tolerate those who do.” That statement all by itself might be the best philosophy we can teach our young men. Set high standards for your son! [tweet_dis]Boys frequently live up to (or down to) the expectations placed upon them. [/tweet_dis] He who aims for little will accomplish little. Expect great things from him and encourage him to attempt great things. He will never be perfect, but he’ll get closer to it if that’s his aim. There’s an old proverb that says, “He who aims at the sun, will not reach it, to be sure, but his arrow will fly higher than if he aims at an object on a level with himself.” Allow him to fail (because he will), and encourage him to get back up when he does. Encourage him to study the lives of great men. Why model yourself after mediocrity? Would you rather have your son look up to someone like Martin Luther King Jr. or a modern rap artist? Help him to understand that the people he associates with are what he will become. If he wants to be healthy, happy and successful in life, he needs to hang around people who are healthy, happy and successful. Teach your son he doesn’t have to be ashamed of being a male. Many of the messages in our culture either subliminally or overtly put males and manhood in a negative light. There are stereotypes of aggressive thugs, womanizers, or the bumbling buffoons on many TV sitcoms. Some have stated that boys have “testosterone poisoning”—they are somehow bad just by virtue of their gender. 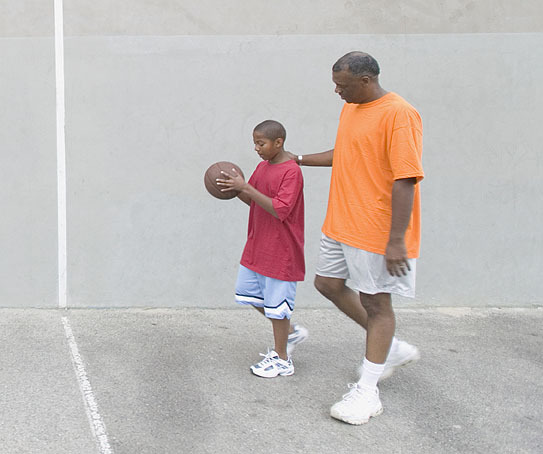 So, dad, counteract those notions by teaching your son—through words and actions—that he has the potential to influence lives for hundreds of years by the way he lives. Tell him that he matters; that [tweet_dis]as a husband, a man, and a father your son matters more than he will ever know[/tweet_dis]. As a father he will be nearly irreplaceable in the lives of his children; they suffer mightily in his absence. Teach him that people he doesn’t even know are constantly watching him to see how a man thinks, acts, solves problems, and faces life. He has great power to make a positive difference. Teach him manners—or even better, chivalry. Chivalry embodies the traits of honor, dignity, sacrifice, and nobility. These traits are all but forgotten in our culture today, at least on an individual basis. Some organizations—such as police, firefighters, and EMTs, as well as the military—encourage men to exhibit some or all of the described traits as they serve the needs of others above their own desires. That’s the heart of their honor code. But as a culture we appear to have devalued these traits to the point that men and boys no longer aspire to them, or possible don’t even know they exist. If anything, most young men today are allowed to despise authority and use their power for their own self-gratification above all else. Chivalry seems to be dead today, or as my editor once put it, “Chivalry has been stomped to death.” She has a valid point: we don’t see many examples of chivalry today. Frankly, most young men today are not forced to earn the affections of young women—much to the girls’ detriment. They are not required to be noble and honorable in any area of life. But if you want your son to marry well and be successful in life, teaching him the art of chivalry will be to his advantage. One of the best ways to instill chivalry in young men is to teach them proper manners and etiquette as boys. Teaching your son manners might be one of the most important things you as a parent can do for him. Manners are, after all, about respect—respect for oneself and respect for others. Manners teach a boy that there are other people in the world that he needs to be aware of besides himself, and those other people are just as important as he is. (And he can learn to treat them as though they are more important than he is). So many people in our culture today are so self-focused that a young man who puts the needs of others ahead of his own will stand out like a bright beacon of light upon a hill. Practicing good manners and demonstrating chivalry lead to a life of honor and nobility. A young man with these qualities will have doors opened for him in life that most others will not. Dads, the best way to teach your sons (and daughters) what honor looks like is to model it in your home and then hold your son to a high standard in his behavior and treatment of others. Honorable men make honorable boys. Stay strong! 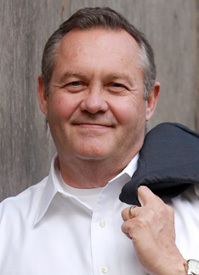 Rick Johnson is a bestselling author of ten books on marriage and parenting, as well as a sought after speaker around the US and Canada. He is the founder and director of a fathering skills ministry called Better Dads. Rick and his wife Suzanne have two adult children and live in Gresham, Oregon. You can find out more about Rick and his work at his website: betterdads.net. This article was excerpted from Rick’s book, A Man in the Making: Strategies to Help Your Son Succeed in Life, by Revell Publishing.